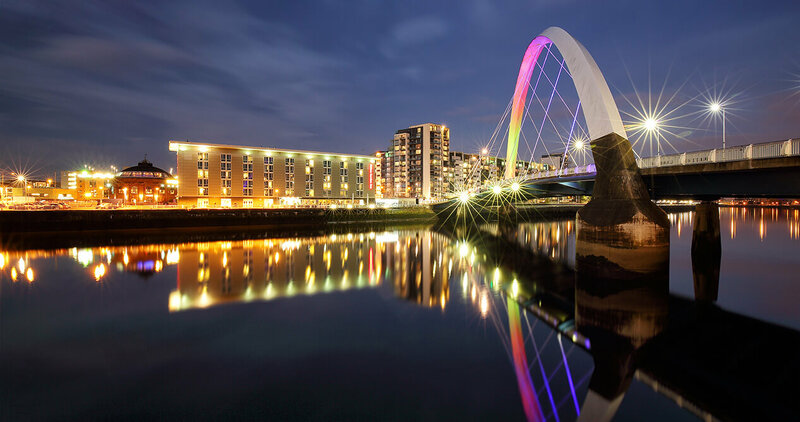 A couple of weeks before Christmas, a new face opened in Edinburgh’s Stockbridge – Boston & Hawthorne. 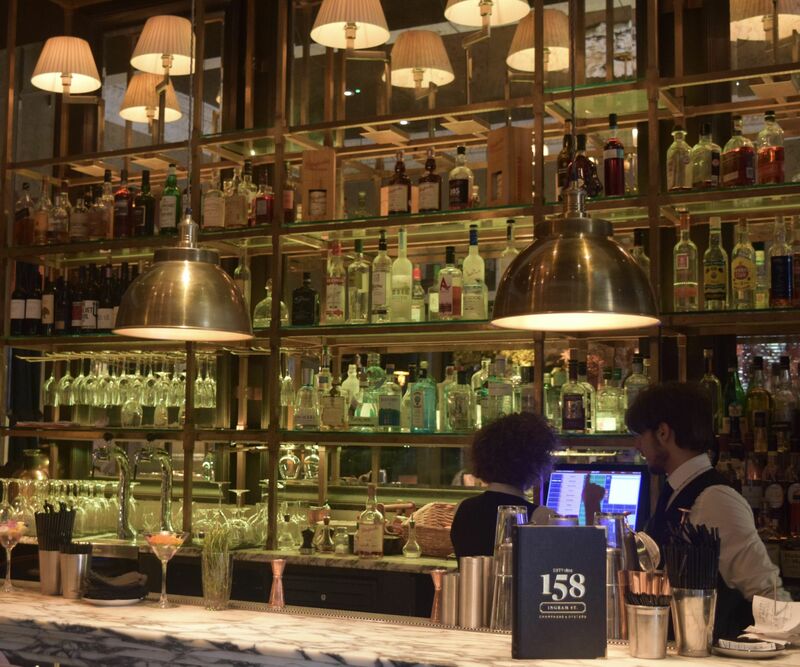 Billed as the capital’s only curiosity bar, it’s a cosy little spot, tucked off the main street, with killer cocktails and a menu perfect for sharing. When I popped in, it was for a special opening event. With candles flickering, we were given time to explore the cabinets and mingle, before sitting down to sharing banquet. The food for the evening had a Roman-theme, which was entirely unexpected – so as we were seated we were plied with mead as we got to know everyone at the table. The first course was a pizza bread, absolutely covered in cooked peppers. As with the rest of the meal, we were encouraged to use our hands and dig in! 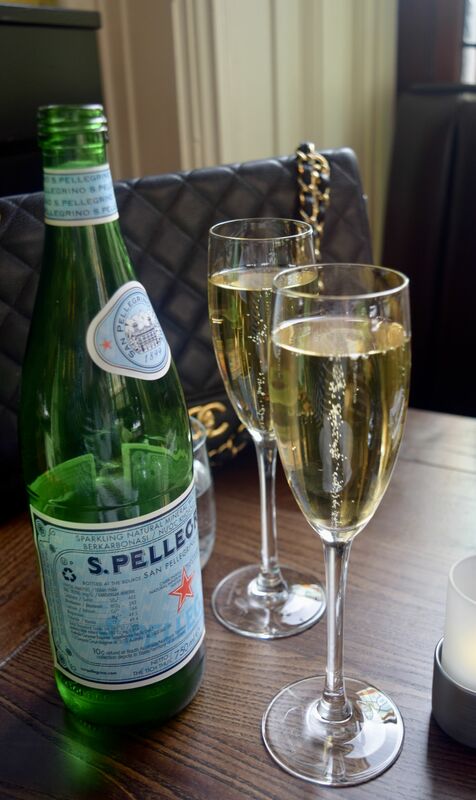 With a perfectly crisp base, this was such a delicious way to start our meal. The peppers had been cooked until soft and sweet , and the pizza dough had a delicious, sourdough flavour. Once we had all munched our way through the pizza, it was time for the main event. 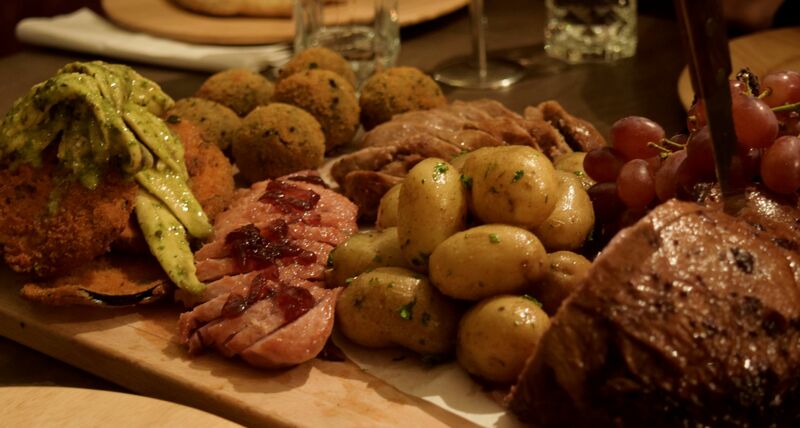 Possibly Edinburgh’s most generous sharing board was heaved to the table – much to all of our delight! 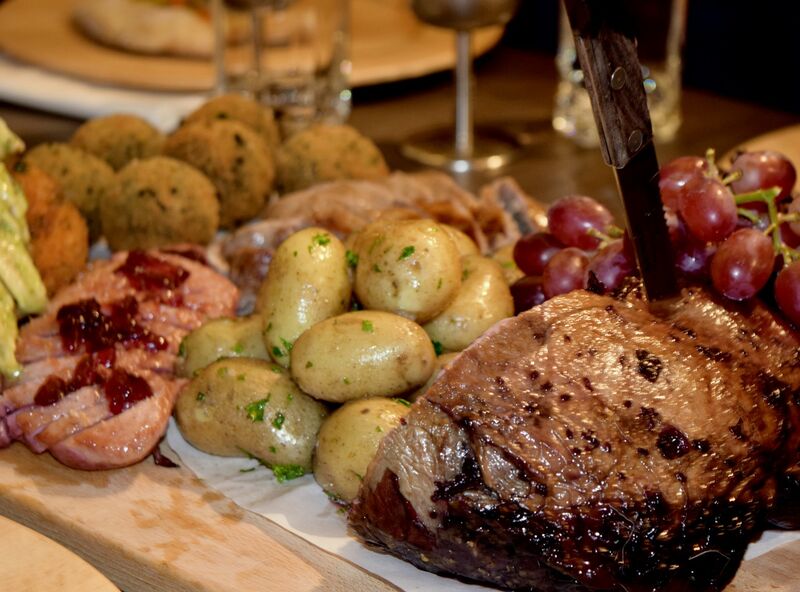 It was a truly Bacchanalian affair, bedecked in meats and vegetable, which we all spent at least five minutes taking pictures of. Once we had all taken enough pictures, it was time to dig in. 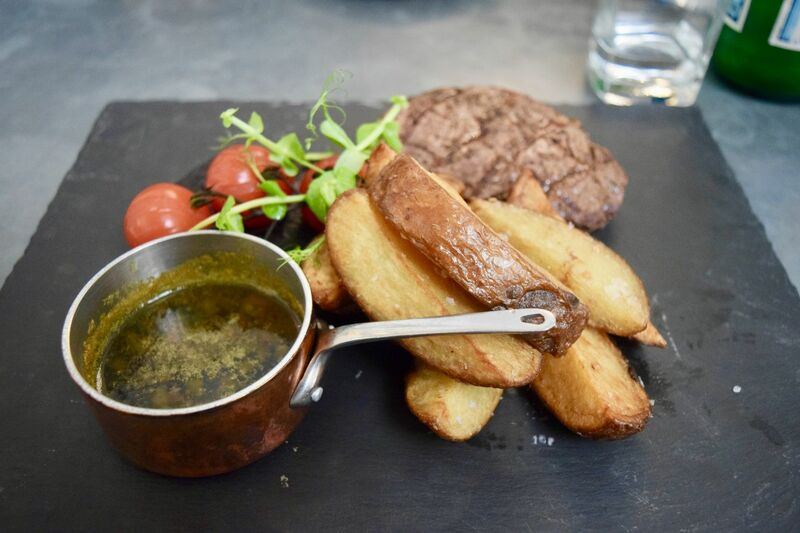 There was so much to choose from – there were exotic options like the wild boar sausages, and squid arancini, as well as breaded aubergines, duck, new potatoes and a huge hunk of venison. While imposing, the spread was perfect for diving in and out of. 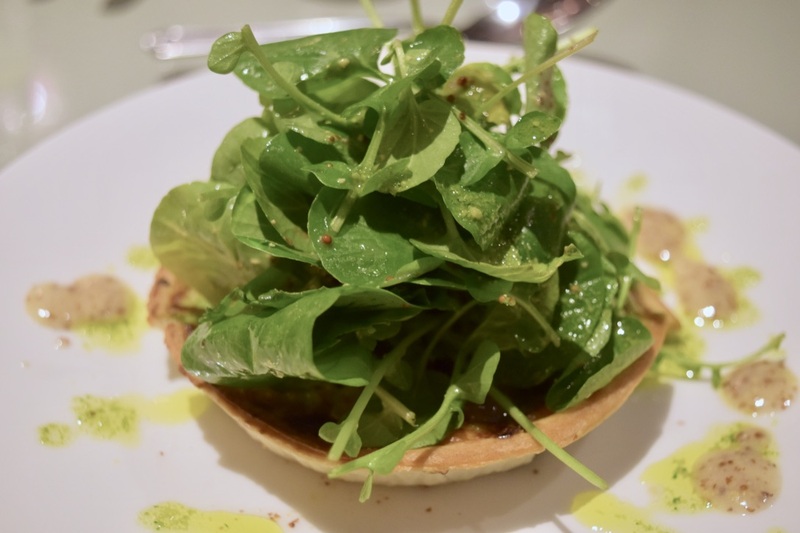 The concept of a Roman banquet was something I’ve never experienced before, but is was such a lovely way to be introduced not only to Boston & Hawthorne, but also to some more Edinburgh-based bloggers! I’m always on the lookout for new sites to read and explore! 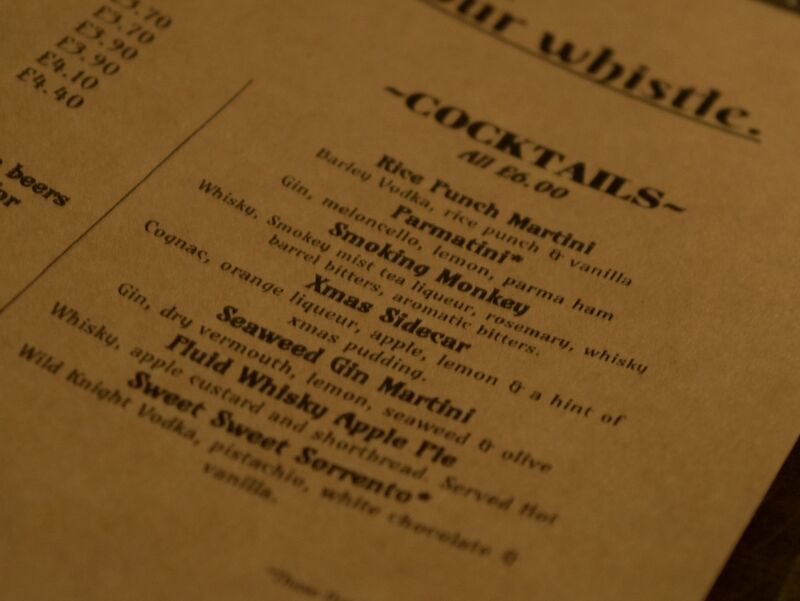 To round the evening off, we had to try some of the bar’s rather delicious sounding cocktails. They’re all priced at £6 each, and I have to say – they’re a real bargain! 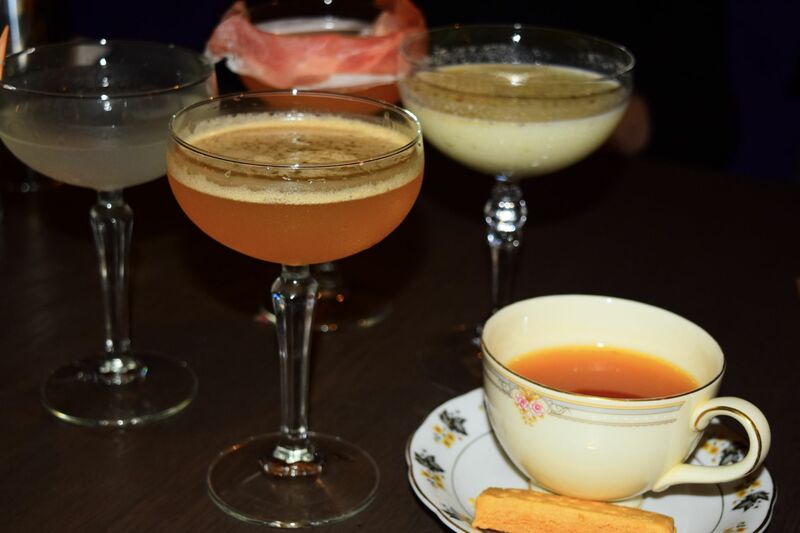 Somehow we all managed to order a different one each – the most eye-catching of which had to be the Parmatini, which came draped with a slice of ham! It was declared delicious, and I enjoyed my Fluid Whisky Apple Pie. Served hot in a vintage cup and saucer set, complete with a finger of shortbread, it was a toasty way to end the evening. 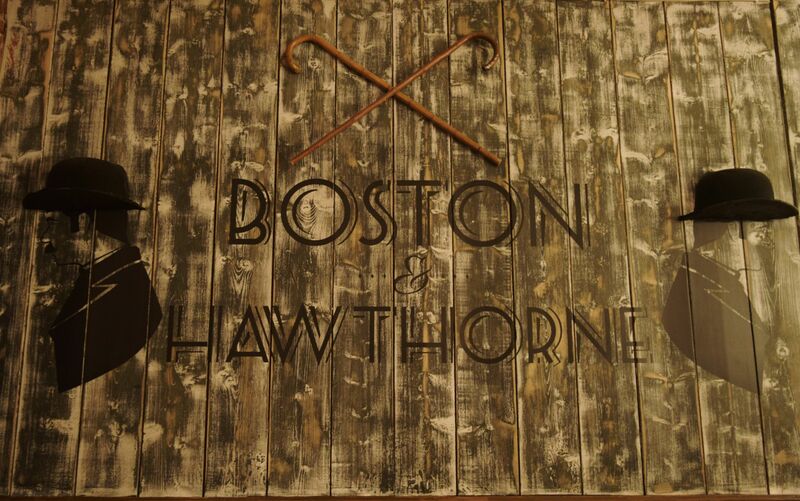 Thank you so much to Boston & Hawthorne for having us! 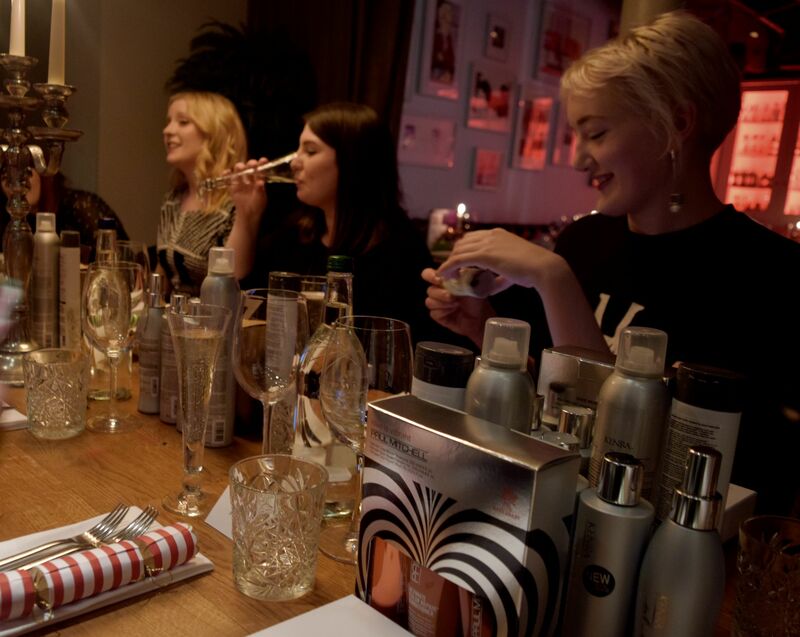 In the run up to Christmas, it’s easy feel more than a little frazzled, so, last month, when Salon Success got in touch to invite me to a Jingle Mingle, I couldn’t resist. 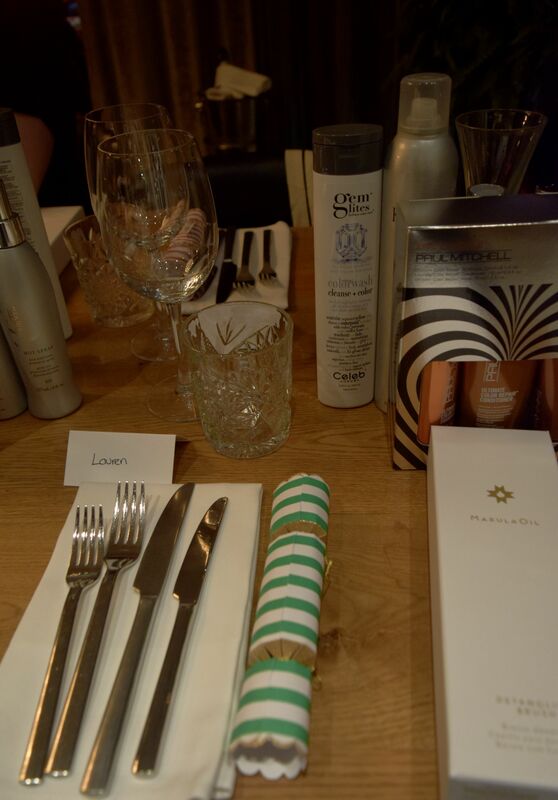 Held in Edinburgh’s Tigerlily, a whole host of Edinburgh-based bloggers had been invited to find out what was new in the world of haircare. Ratherly cleverly, we’d all been invited for our different hair types – there was short hair, long hair, red hair … all so we could see the range of hair types catered to by Salon Success’ clients. With brands like Paul Mitchell and Gem Lites, it was really interesting to see what was new, and I’ve found some really HG products – the Marula Oil hair brush is incredible – imagine a Wet Brush but 100 times better! I’ve become more than a little obsessed with it! With copious amounts of prosecco on tap and beautiful goodies to learn about it was a perfect way to get into the Christmas spirit! I discovered a couple of killer brands I’d never heard of before (Gem Lites and Kenra) , as well as find new products from the iconic Paul Mitchell. 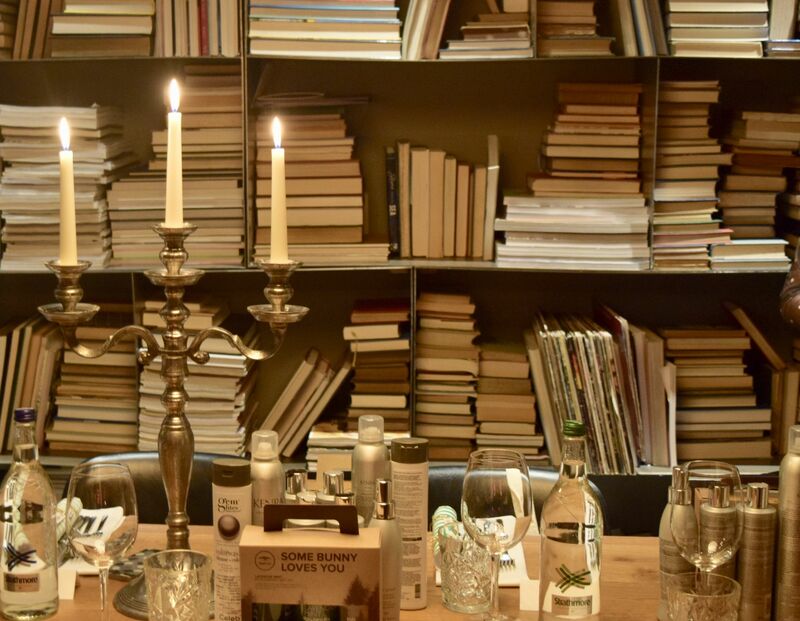 As if an evening filled with the best of haircare wasn’t enough, we were also treated to a wonderful supper from George Street favourite Tigerlily. I’ve had a look at the menus online, and I don’t think any of the dishes we enjoyed are up there. But they were so lovely I had to share them anyway! 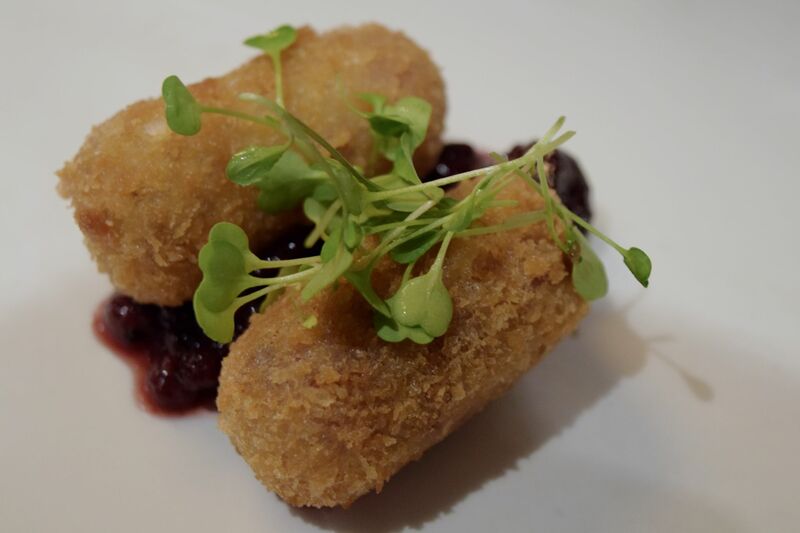 Starters consisted of ham hock and cheese croquettes – wonderfully crisp on the outside and fluffy on the inside, they were a great way to warm up from the soggy streets of Edinburgh outside! 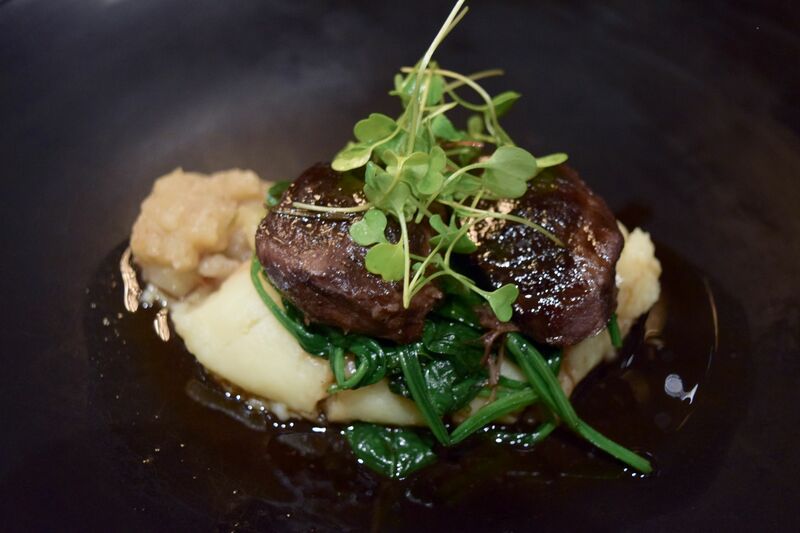 Our main courses were another perfect choice for a winter’s evening- slow cooked beef on a bed of winter spinach and mashed potato. Dessert, I think was everyone’s favourite. 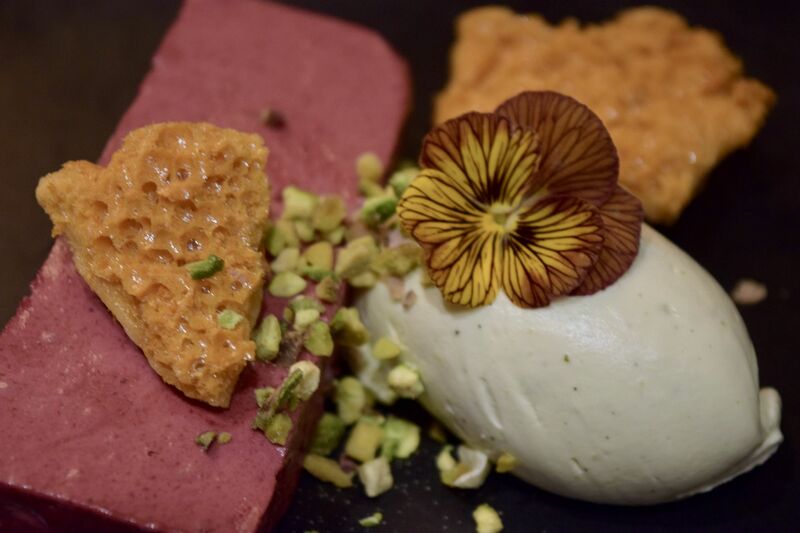 A berry parfait was served with a rich pistachio cream, honeycomb and chopped pistachios. It was such a stunning looking dessert, and the mix of flavours was just lovely. 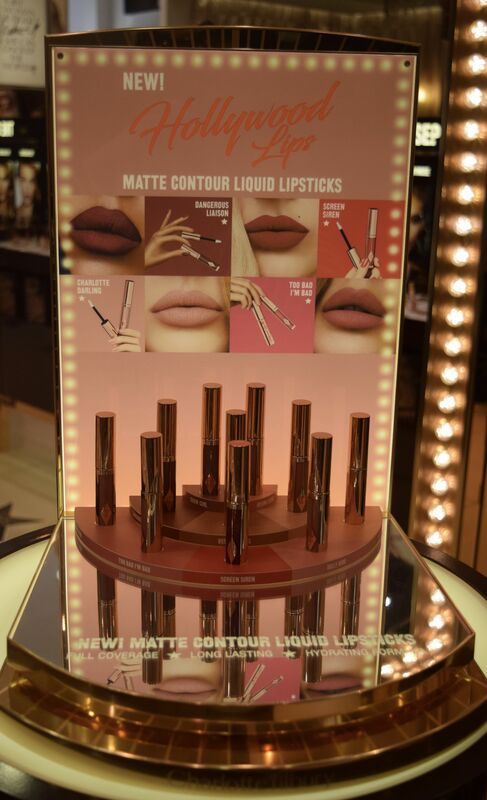 It was the perfect way to round off the evening, after wishing everyone an early Merry Christmas, we all went home laden with new products to try. With Storm Caroline taking the country by storm this weekend, I’m not going to lie, I’ve been hiding inside, enjoying copious amounts of tea. One of my new favourite brands to sip on has been The Tea Leaf Co – a company which prides itself on celebrating the history of tea, as well as providing absolutely delicious options. I’ve been testing out four of the available 15 options, and I’m not going to lie – I’m obsessed! All of the teas come packaged in sturdy little tins, which makes storing them in the cupboard an absolute breeze, and the screw-top lid means that the tea inside stays super fresh. The first of the options I tried was No 10 Apple & Cinnamon. I’m an absolute fiend for anything spiced at this time of year, and I was not disappointed. A teaspoon full popped in my tea pot created a brew which was rich and couldn’t agree more! 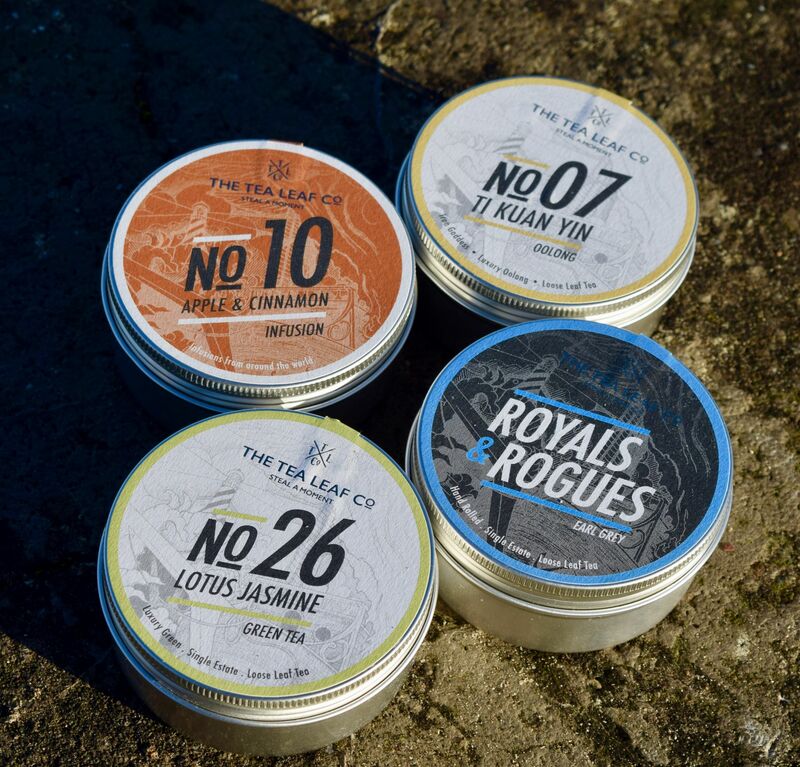 Royals & Rogues is the brand’s Earl Grey mix, and is a witty nod to the Boston Tea Party. I’m partial to a cup of Earl Grey in the morning – and this is a heavenly start to the day! The Tea Leaf Co’s mix includes a generous dash of bergamot oil (and how beautiful are the tiny little petals included in the leaves) so I drink it black, with a slice of lemon. No 07 Ti Kuan Yin is perhaps the most exotic of my collection – an Oolong tea with notes of Orchid, it’s a luxurious way to enjoy something of an afternoon pick-me-up! It’s named after the goddess of mercy Ti Kuan Yin who, legend has it, appeared to a farmer in a dream and gifted him a single, precious tea shoot to plant. It’s gorgeous with a dash of honey if you need something a little sweeter. Whenever things are feeling like they’re getting a little too much, I’ve been turning to No 26 Lotus Jasmine. A fabulous Green Tea with Jasmine, it’s an incredibly soothing, delicious choice. The Tea Leaf Co’s offering is created through an intricate and time-consuming process that dates back more than 1000 years, and it’s a wonderfully fragrant treat! 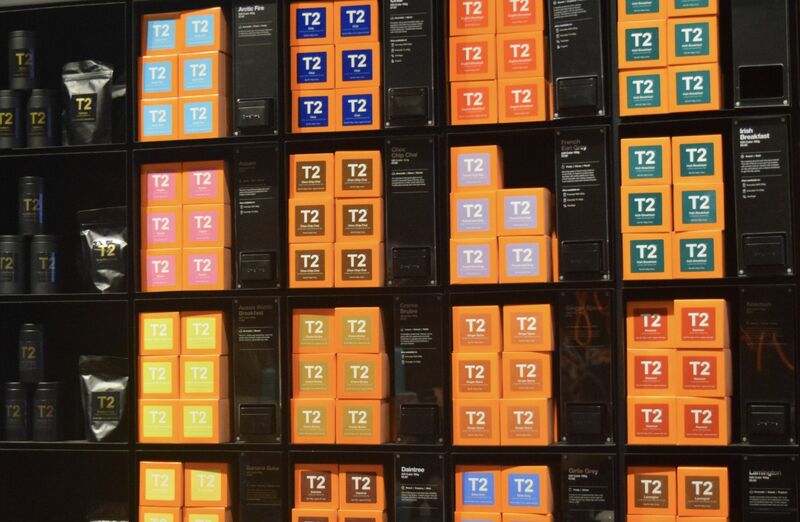 The Tea Leaf Co teas start at £4.99 per tin, and the whole range is available here. I’m not sure about you, but at this time of year, I’ll do pretty much anything to get out of the house. Work in a coffee shop? 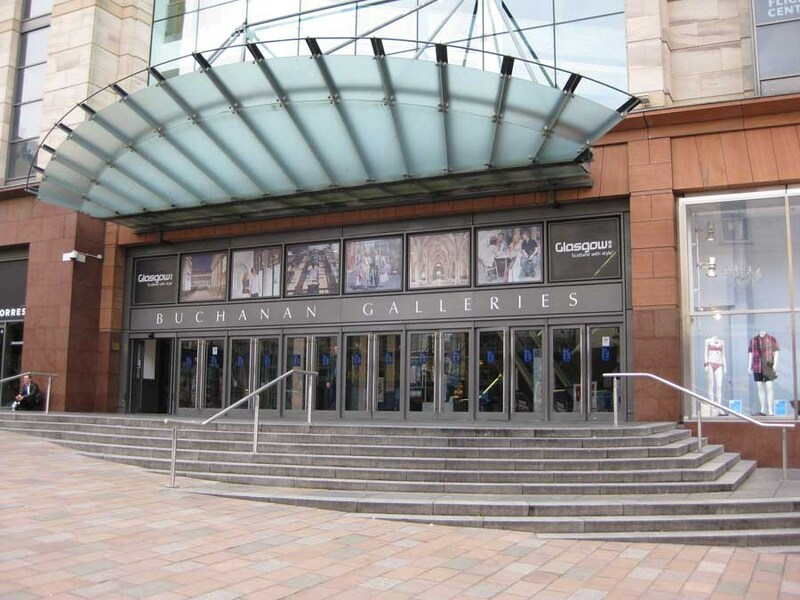 Peruse the overly full stores packed with Christmas shoppers? I think it’s probably just me trying to enjoy the few hours of sunlight we get per day, but possibly the best use of a day I can think of? A trip to Dalkeith’s Restoration Yard! 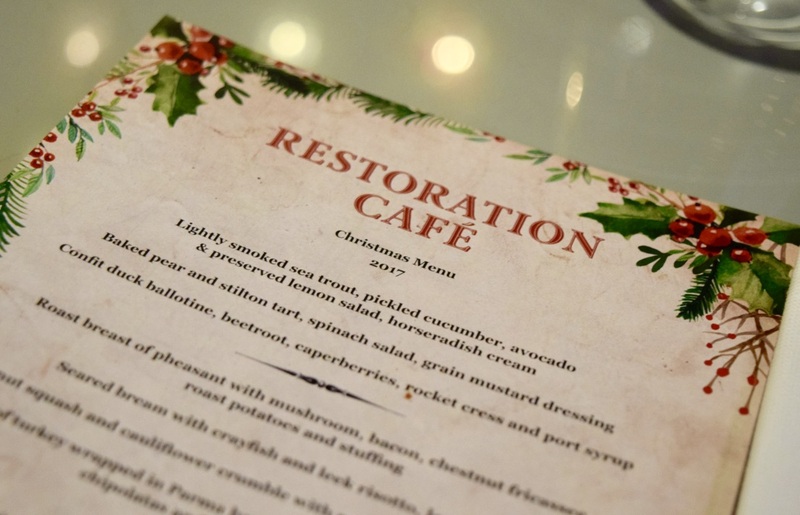 Last night we headed through to the Restoration Cafe to try out their new Christmas Menu. I’ve written about Restoration Yard before, and honestly it’s an absolute haven at this time of year. Children can play on Fort Douglas (i.e. the country’s coolest tree house) and you can shop to your heart’s content in the store – they have a beautifully curated section of home wears, fashion and stationery as well as incredible food hall stuffed full of goodies. I feel like a kid in a candy store every time I visit, and my wish list grows considerably each time! 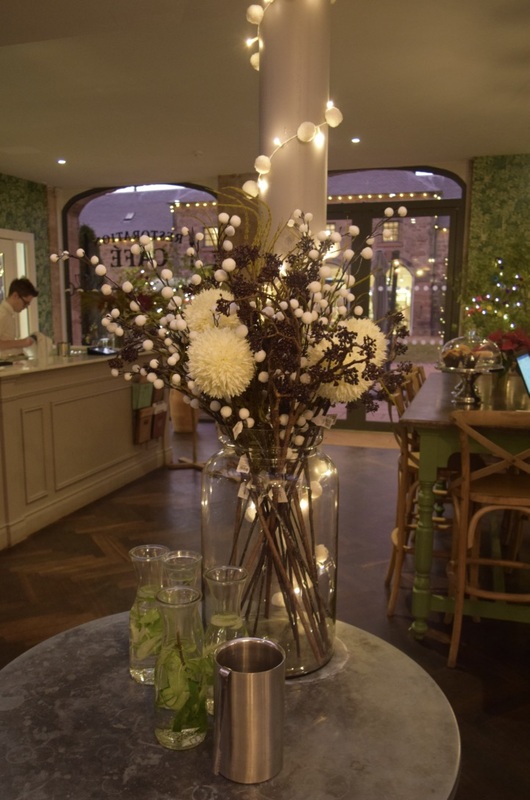 The whole of Restoration Yard is decked out for Christmas – it’s all twinkly fairy lights, pompom garlands and decorations. 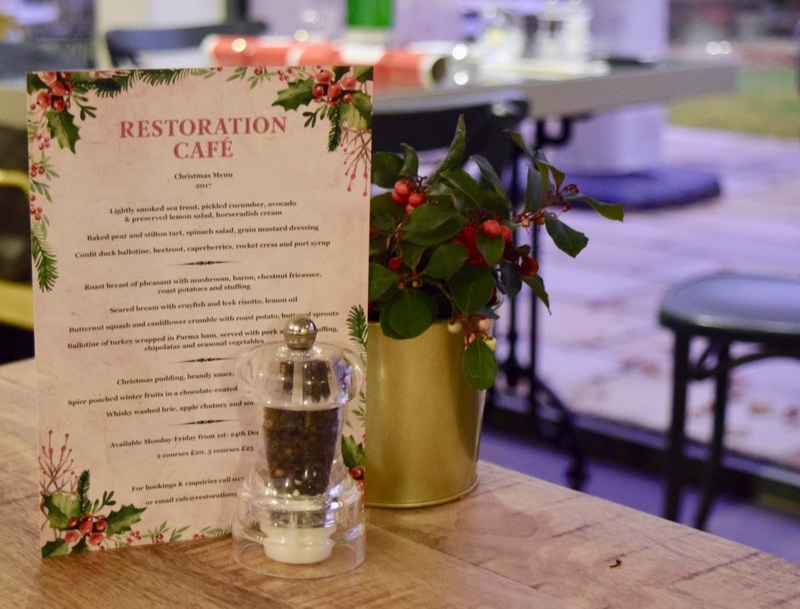 The Restoration Cafe pride themselves on offering a seasonal menu full of locally sourced produce, so when I had the chance to sample the new Christmas Menu, I knew it was going to be great! 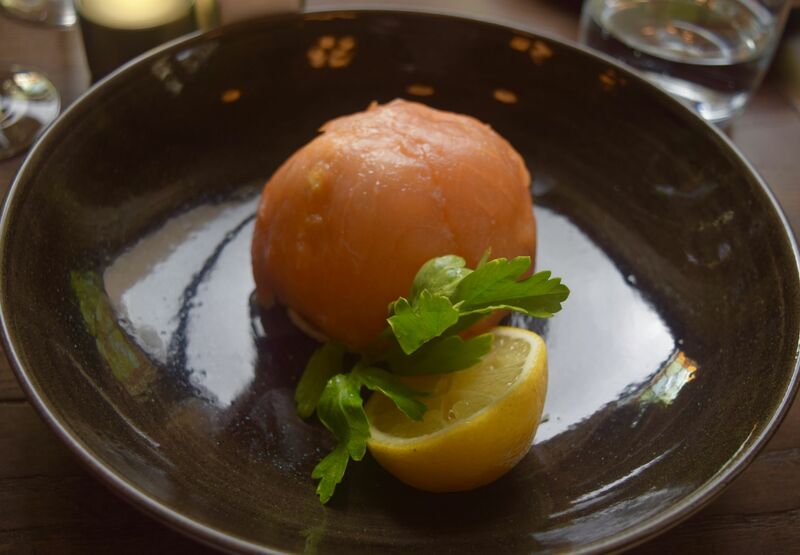 Served Monday-Friday, until December 24th, the choices on offer mix traditional favourites with dishes which are sure to impress! After a busy day, we were both absolutely famished when we sat down, but the staff were so accommodating, bringing crackers to the table, and letting us decide what took our fancy. The Baked Pear and Stilton Tart sounded too good to resist! A beautifully thin, crisp pastry held chunks of spiced baked pear and melting stilton. 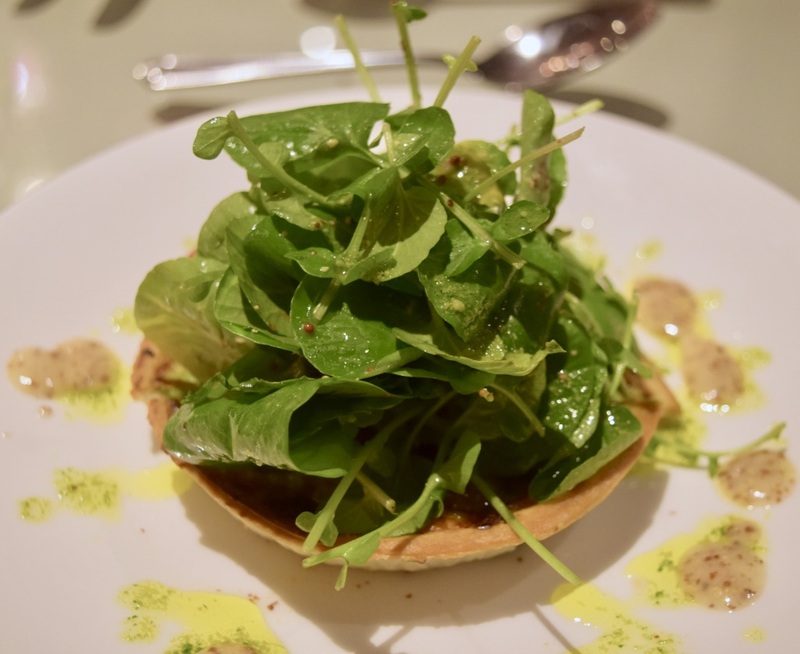 A real update on a classic flavour combination, the addition of the peppery salad and mustard dressing was delightful! The pears had been delicately spiced, lending the dish a thoroughly festive flavour, and I’m sure it’s something I’ll be trying to recreate at home soon! 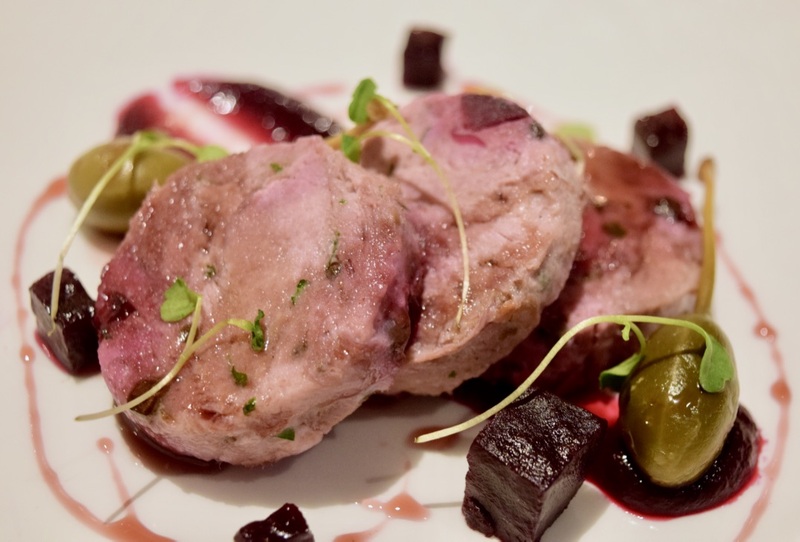 I opted for the Confit Duck Ballotine, which came alongside caper berries, beetroot and a port syrup. This was an absolute masterclass in winter cooking. 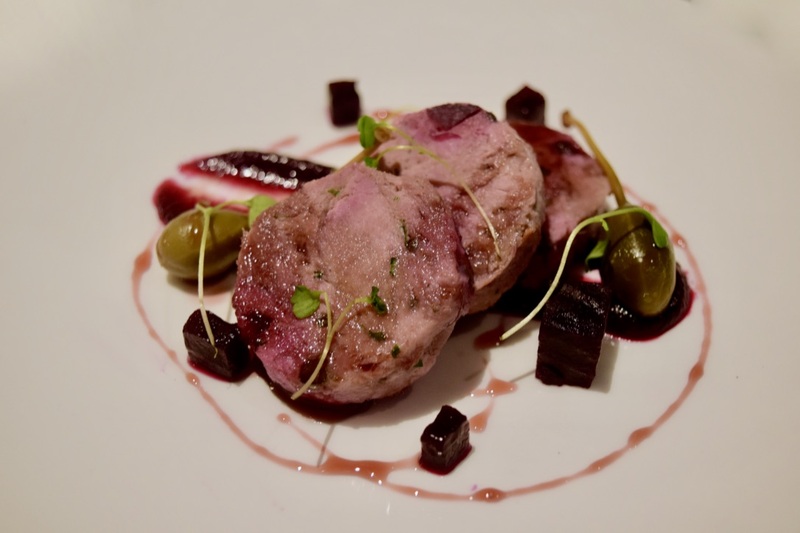 The duck was perfection – moist and flavourful, and the combination between it and the earthiness of the beetroot was divine. The caper berries were a welcome addition of tartness, whilst the port syrup leant some sweetness. 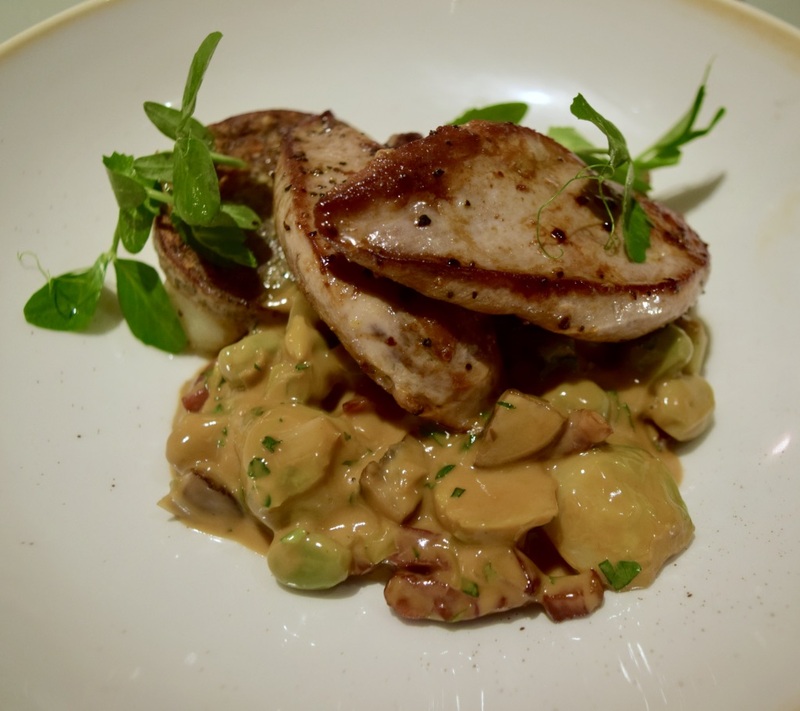 We moved onto main courses, and of course, we couldn’t not order the Turkey. 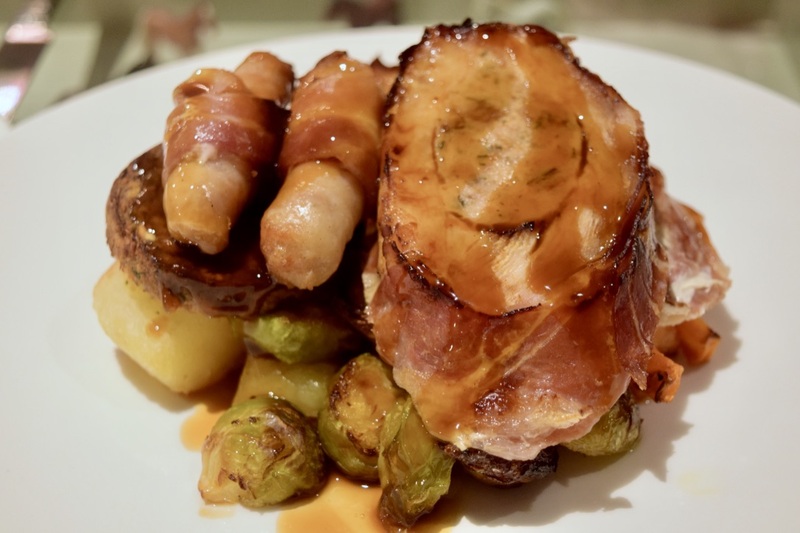 A real celebration of everything traditionally festive, the Ballotine of Turkey wrapped in Parma Ham, served with pork and sage stuffing was a real show stopper. Piled high on the plate, the turkey was the star of the show! 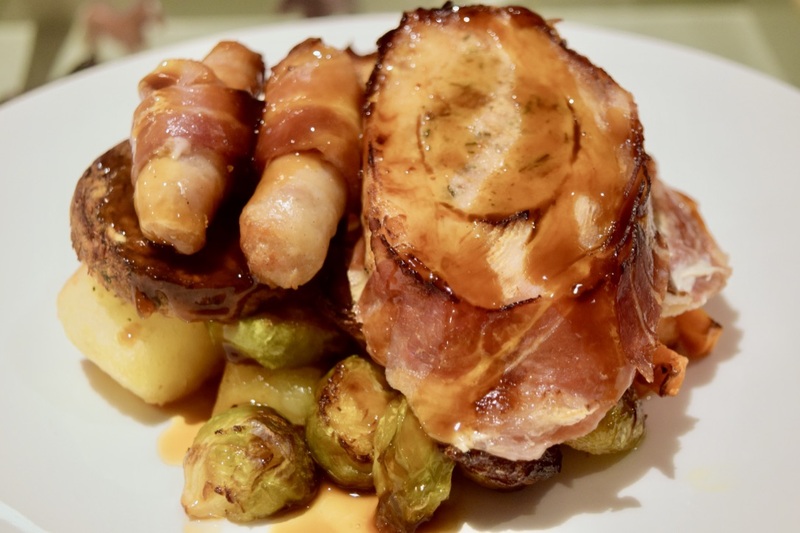 Wrapped in a crisp blanket of Parma Ham, and filled with the most delicious sage-y stuffing, it paired perfectly with the spiced cranberry sauce, and was perched above the most delicious candied carrots and roasted Brussels sprouts. Since Dalkeith source their produce locally, I couldn’t resist the Roast Breast of Pheasant. Served on a mushroom, chestnut and bacon ficasee as well as the most delicious roast potatoes and Brussels Sprouts, it was a tasty alternative to the more traditional turkey offering. 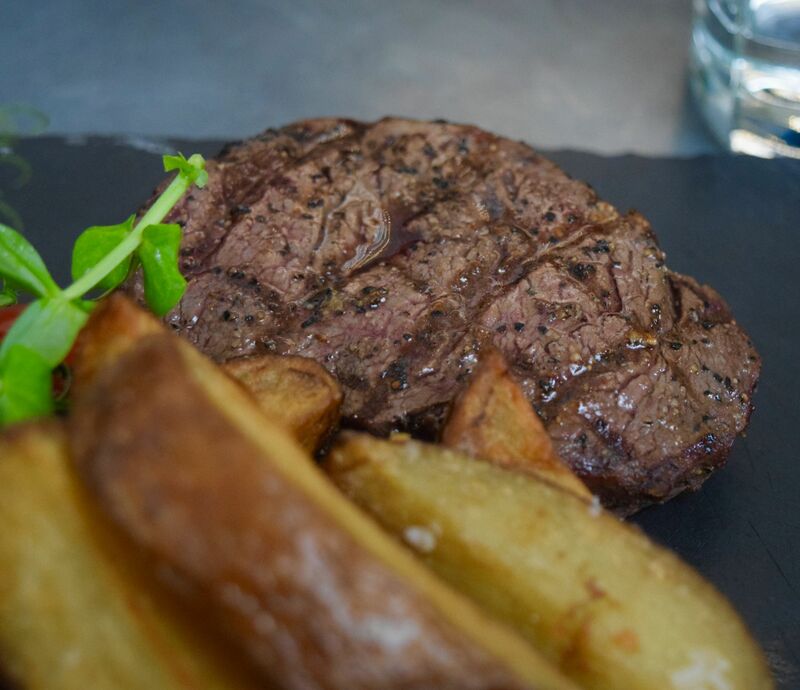 The meat was delicately flavoured, and worked with the rich sauce, and felt perfectly seasonal! If you’re looking for a bit of a change from the norm, I’d seriously recommend it. It’s the absolutely perfect choice for a hearty winter supper! Since we were going for the full festive experience, we couldn’t not order the Christmas Pudding! 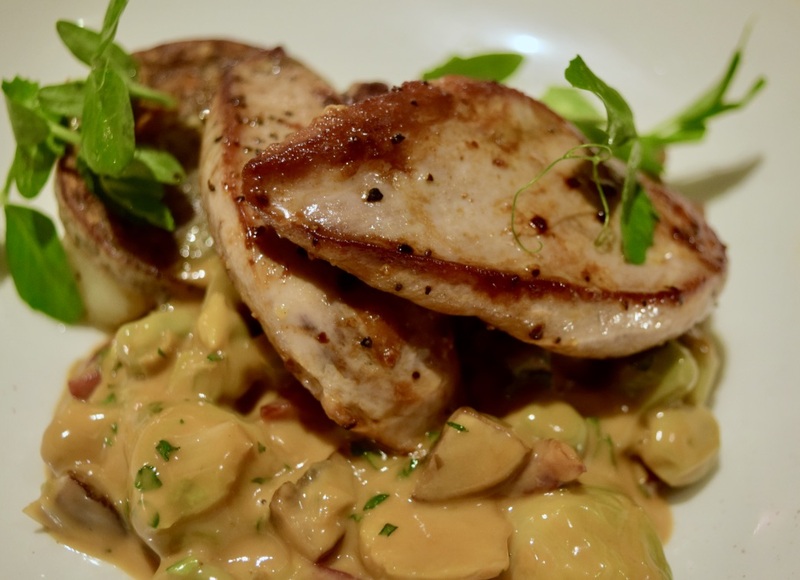 Served in a creamy brandy sauce and topped with an orange compote. Since I’m a real fan of spiced, wintery puddings, this was absolute heaven! The Christmas Pudding itself was abosolutely heavenly – super moist, and wonderfully fruity! 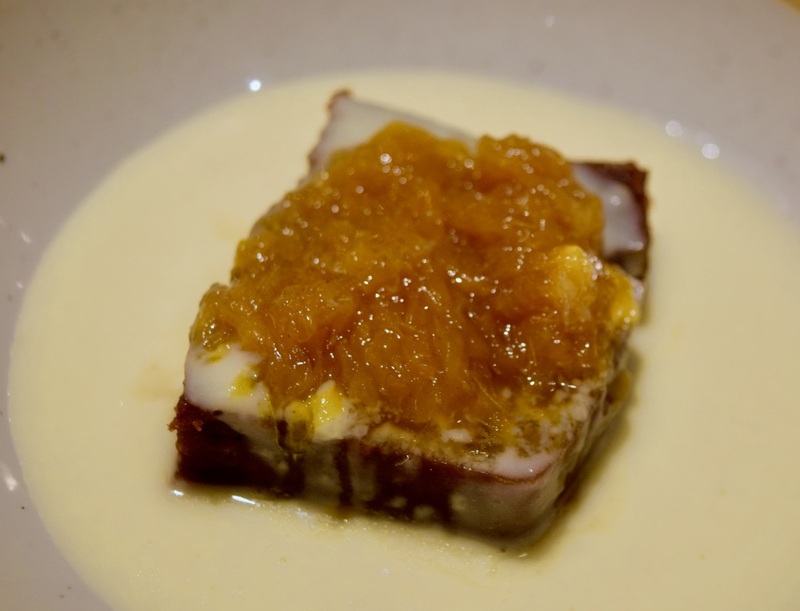 The fresh orange compote gave the dish a hit of acidity and freshened up what could be an incredibly rich dish. We finished off with a couple of hot drinks (since I’m such an adult, I couldn’t resist a Hot Chocolate. It was such a dreamy evening, and the absolutely perfect start to the festive season. The food was, as always at the Restoration Cafe, absolutely incredible, and I would seriously recommend heading over to check it out! 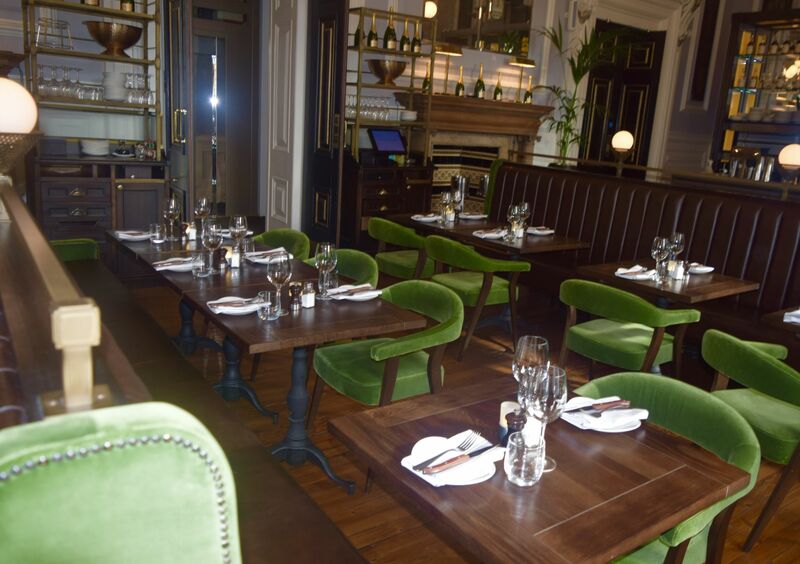 2 Courses are priced at £20 per person, while 3 courses are priced at £25. You can see the whole menu here.